A wild toe-tapping, head-shakin' musical tribute to the rockin’ women who made the music of the ‘60s so special – everyone from Lesley Gore to Janis Joplin, from the Shirelles to the Supremes, Aretha Franklin to Tina Turner. And every woman in between! 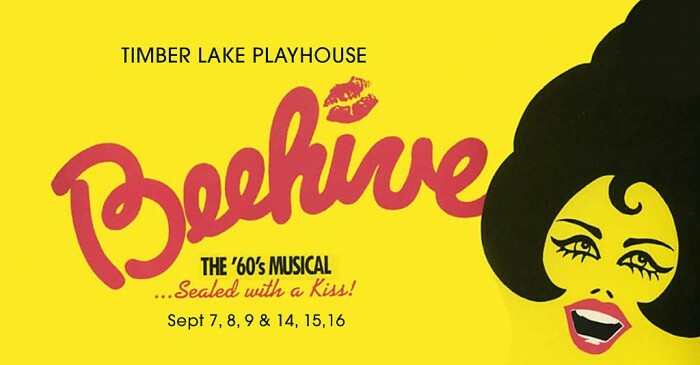 Featuring such iconic tunes as My Boyfriend’s Back, One Fine Day, Downtown, Proud Mary and Piece of My Heart, Beehive will have you dancing in your seats. For 57 years Timber Lake Playhouse has been known for its national reputation for excellence as a professional summer stock theatre. The theatre has served as launch pad for theatre artists of all kinds who have gone on to excellence in film, television, on Broadway and stages all over the world.